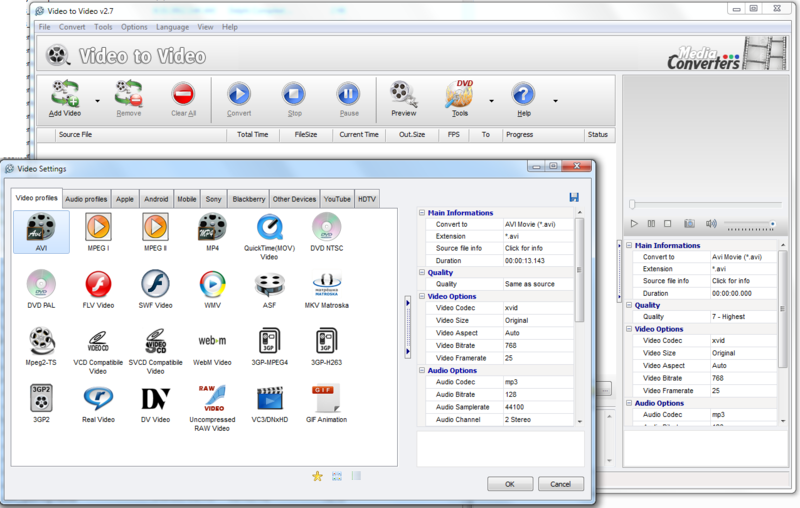 Video to Video Converter 2.9.6.10 無料ダウンロード - Video to Video is free video converter software. With DVD Ripper you can convert your DVD discs. Video Joiner merges several video files into one. Video Splitter extracts scenes from a video file. DVD Authoring converts to DVD format. DVD Video Burner burns video files to DVD. Large selection of presets and the ability to create custom presets. YouTube video conversion to mp3. Video to Video Converter is very easy to use. The interface is very intuitive for an average user. The program is completely free and without ads. There is a portable version of the program. Multilanguage support.